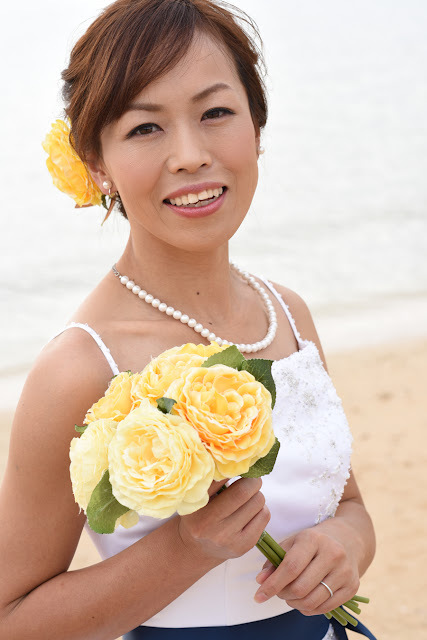 Japanese Bride Yoko holds her yellow silk-flower bouquet. 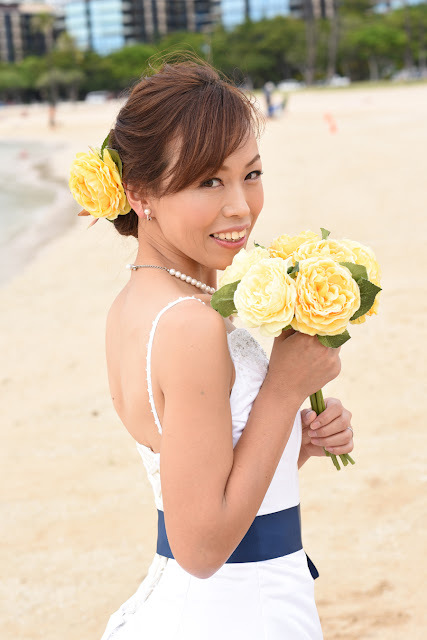 Honolulu Bridal photos at Magic Island, across the street from Ala Moana. What do you think? Does Yoko make a good model for Hawaii wedding gowns?